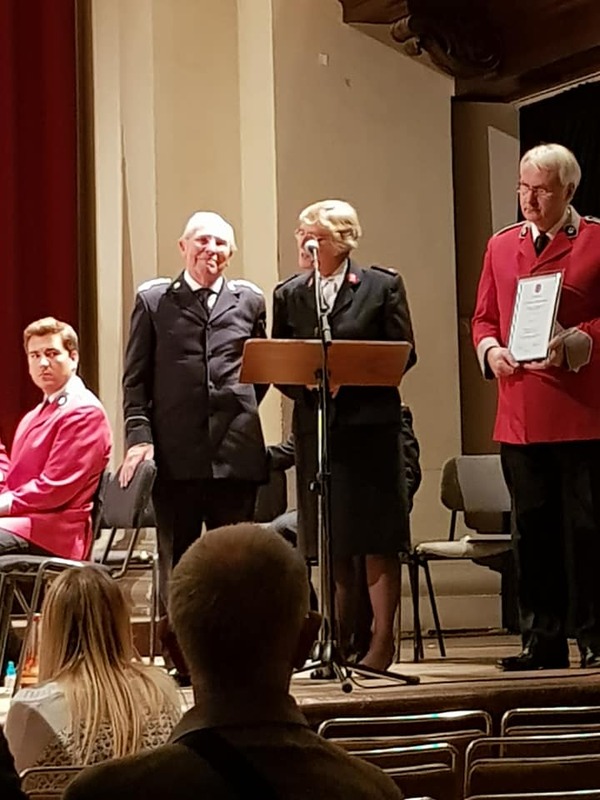 Enfield Citadel Band (Bandmaster Don Jenkins) returned to St. John’s, Smith Square, for this year’s Pre-Contest Festival. The concert featured James Fountain (cornet/trumpet) as guest soloist and Major Martin Cordner as compère, guest conductor, and featured composer. The band was pleased to welcome back many former members, including Kevin Dallas, who emigrated to Australia following the band’s tour to that country in 1980. They were also pleased to see Andrew Wainwright, whose compositions have featured in the last two Pre-Contest Festivals, and who has recently been appointed editor of British Bandsman. The program was compèred throughout by Major Cordner, who also shared conducting duties with Bandmaster Jenkins. Major Cordner was also a featured composer and he led the band in a number of his own works. One of these, Fantasia for Cornet and Band, was the first item presented by James Fountain. The soloist then switched to trumpet in the second half of the concert to feature People (from “Funny Girl”) and I Surrender All (David Chaulk, arr. Andrew Mackereth). The band continues to enjoy working with Bandmaster Jenkins. It was with great pleasure (and a complete surprise to the bandmaster) that the service he has given to many bands and songster brigades over many years was recognized by the Music Ministries Unit with the presentation of a Certificate of Exceptional Service by Enfield Citadel corps officer Major Alison Gaudion. Much of the music in the second half was composed by Major Cordner. He introduced and then led the band in those items before handing the baton back to Bandmaster Jenkins for the concluding march, The Red Shield, without which no concert by the Enfield Citadel Band would be complete. 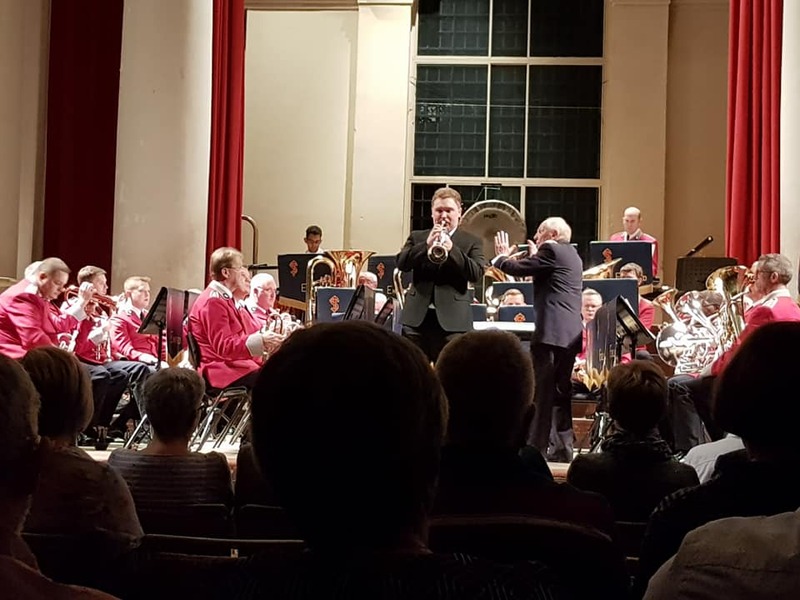 This article was posted in News and tagged Andrew Wainwright, concert, Don Jenkins, Enfield Citadel Band, Garry Ambrose, James Fountain, Kevin Dallas, Martin Cordner, Pre-Contest Festival, presentation, St. John's Church on 12 October 2018 .